The penguin suits are just white fabric glued to black hoodie sweaters. The masks are cut from flexible black plastic folders, in a shape inspired by the long-beaked plague masks worn by medieval physicians. 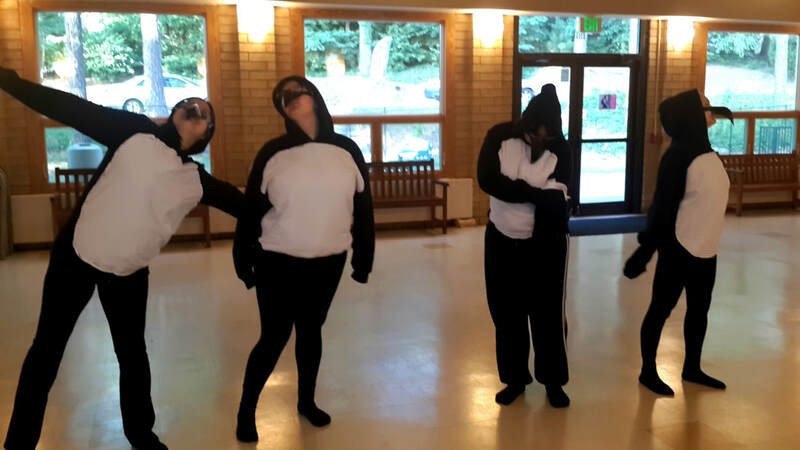 This is unfortunately the only picture I have of our wonderful penguin dancers.